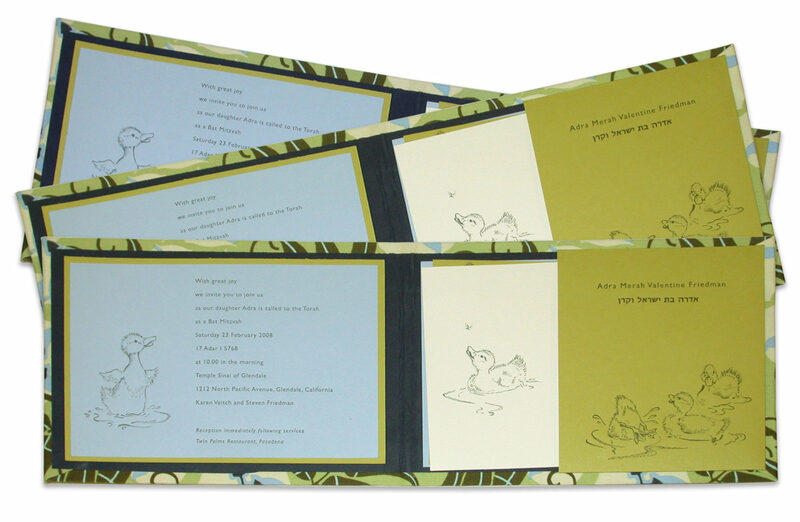 A delightful hand-bound fabric-covered booklet fits sweetly inside a plastic button and string mailer. 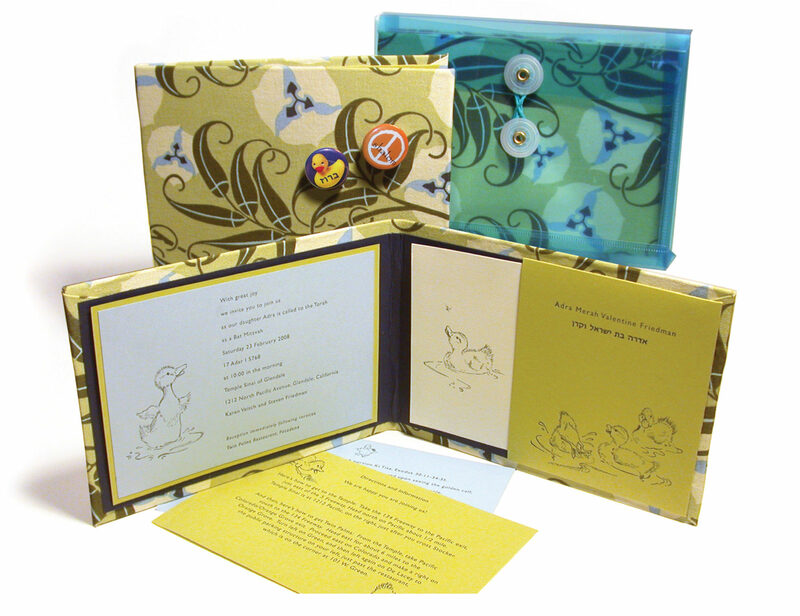 The covers are embellished with custom-made ducky and peace sign buttons to add more quirky fun, while a selection of papers complementing the fabric creates a harmonious color story. 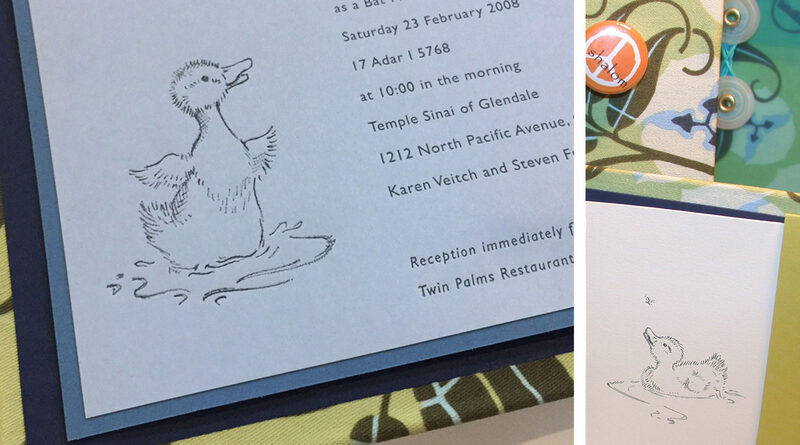 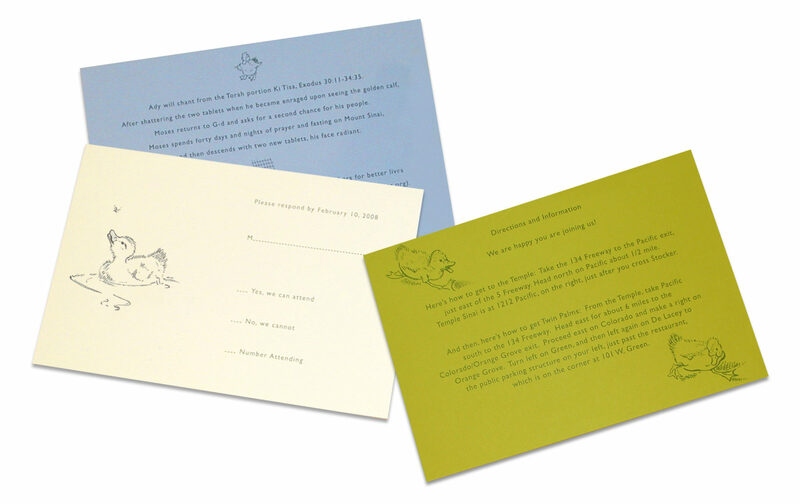 Letterpress printing and Make Way for Ducklings-inspired illustrations bring the playful theme together.